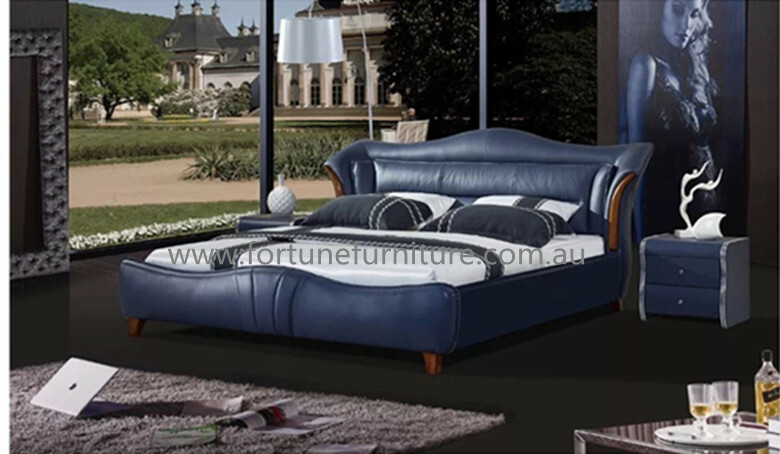 Leather : Carefully wrapped with Genuine top grain cowhide leather 1.0mm. Lasted quilted finishes bedhead makes renee more stylish and comfortable . Leather : Carefully wrapped with Genuine top grain cowhide leather 1.0mm. Puffed bedhead makes her more cosy. 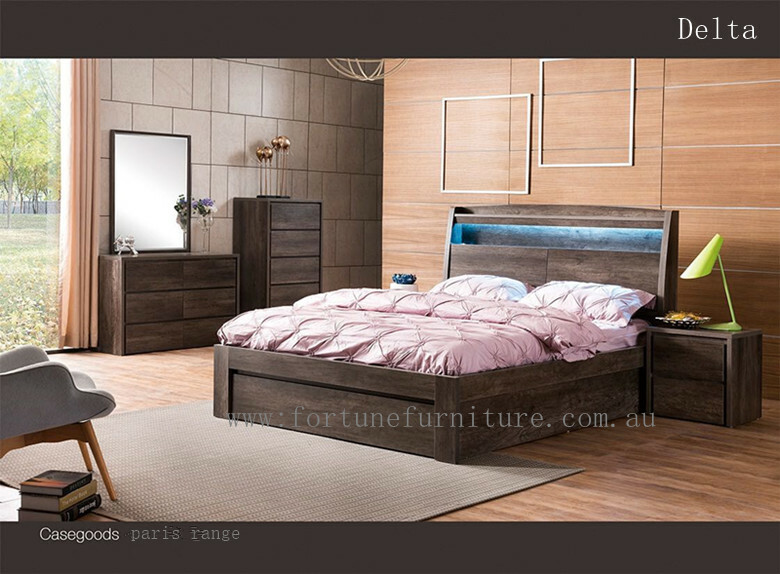 3 pce Q size with 2* bedside table : total @ $ 1097 . Leather : Carefully wrapped with Genuine top grain cowhide leather 1.0mm. 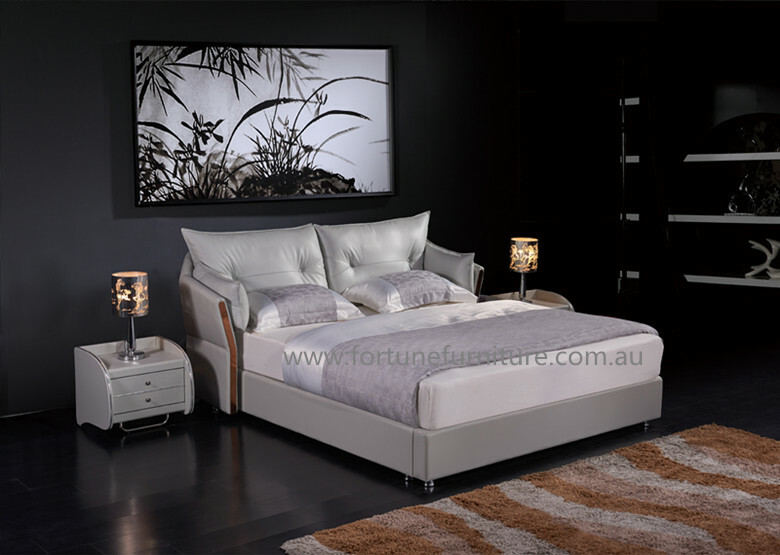 Stylish design plus extra pillows makes cherish more comfortable and cosy . leather : Carefully wrapped with Genuine top grain cowhide leather 1.0mm. Feather fill in the bedhead makes yasmine much more cozy. 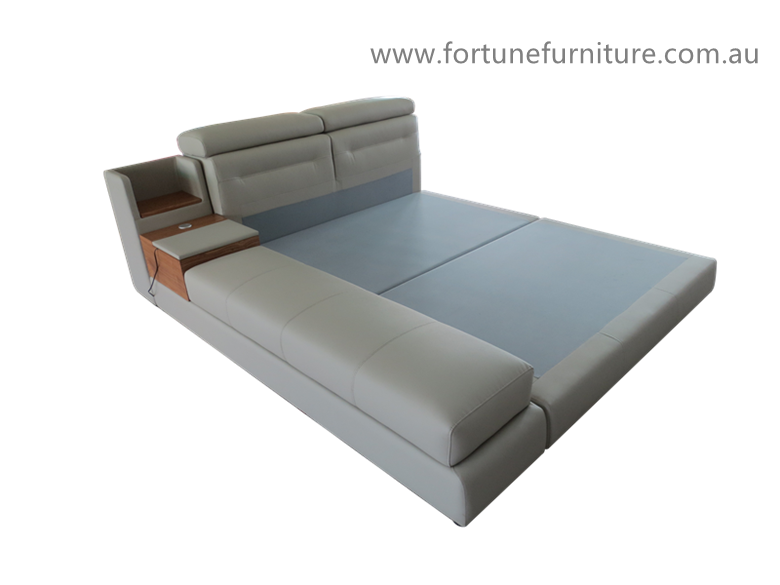 Choice of other material, Man-made leather ( microfiber leather ), Fabric . 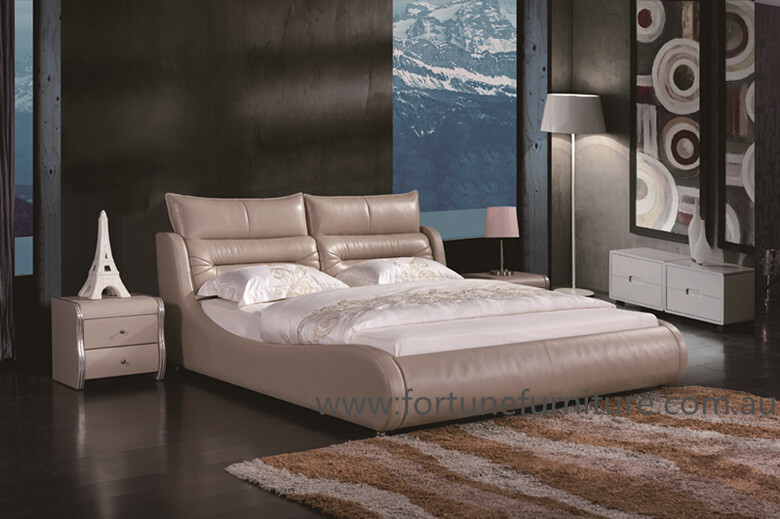 Leather : Carefully wrapped with Genuine top grain cowhide leather 1.0 mm thickness. 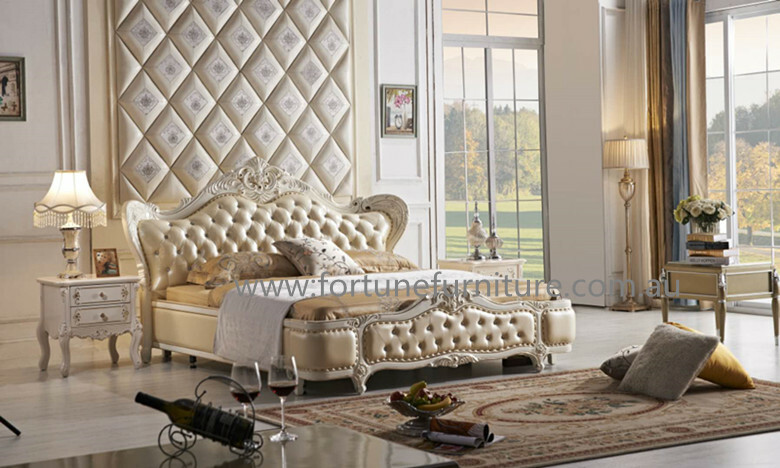 Price : Q size with Genuine cowhide leather 1.0 mm @ $1299 . 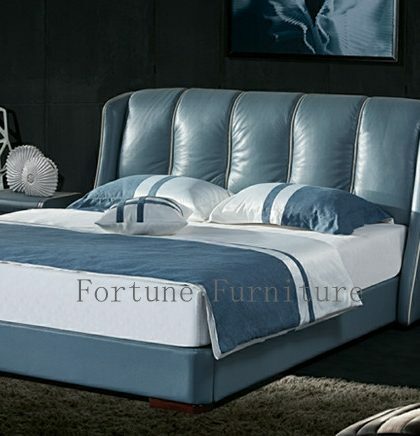 King size in Genuine cowhide leather : @ $1399. 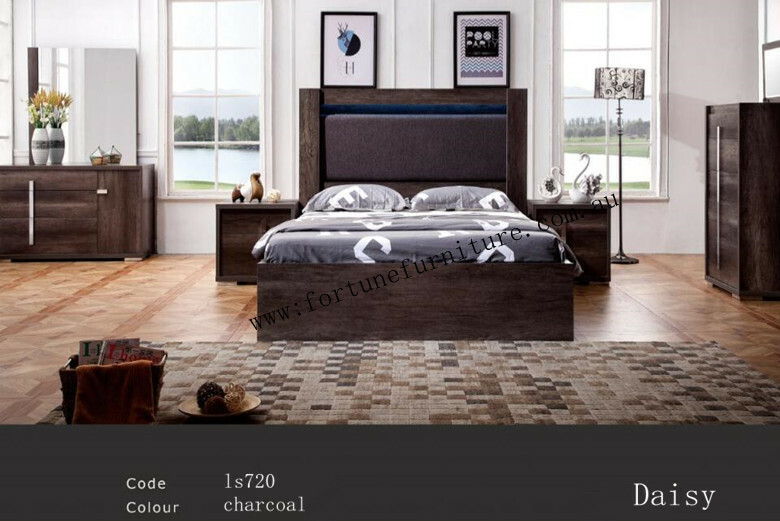 Frame: Solid Hardwood Frame with handcraft trimming champion gold finish. 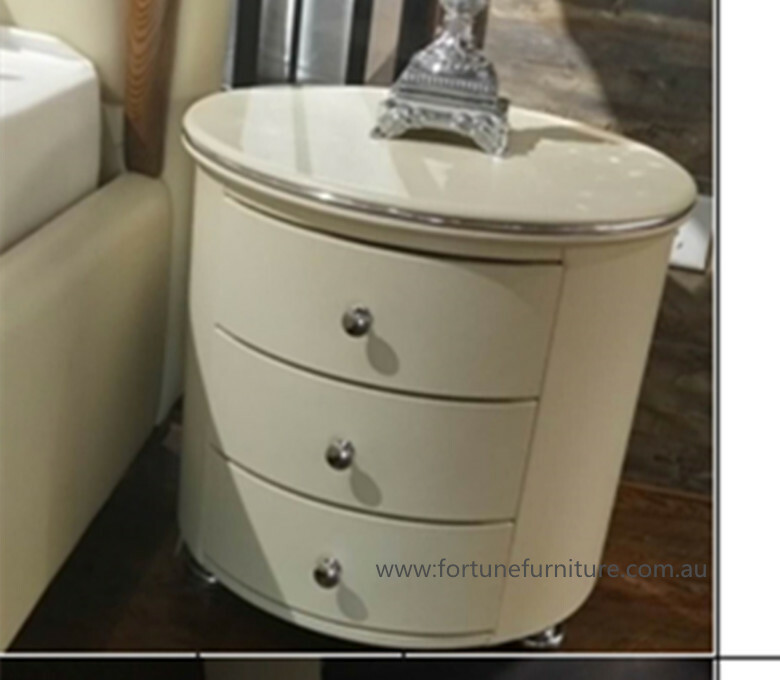 Timber stains: Can be ordered in Ivory white , Pearl white , Black. antique teak finish . Trimming Finish : Silver , Gold ,Champion gold . 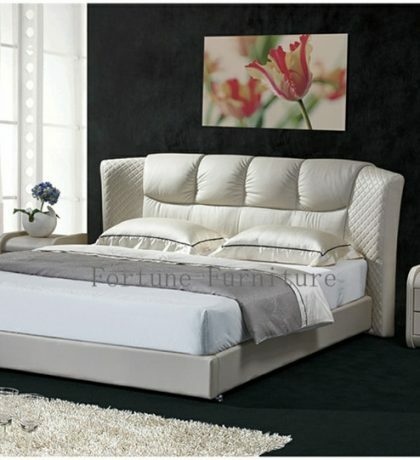 Price : Q size with Genuine cowhide leather 1.0 mm @ $1799 . 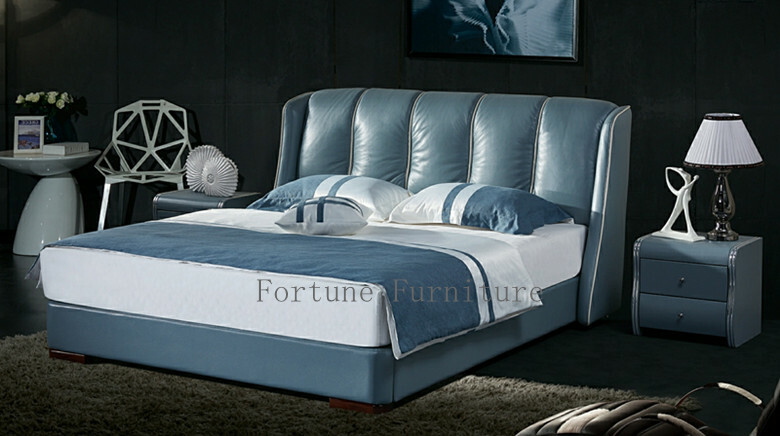 King size in Genuine cowhide leather : @ $1999. 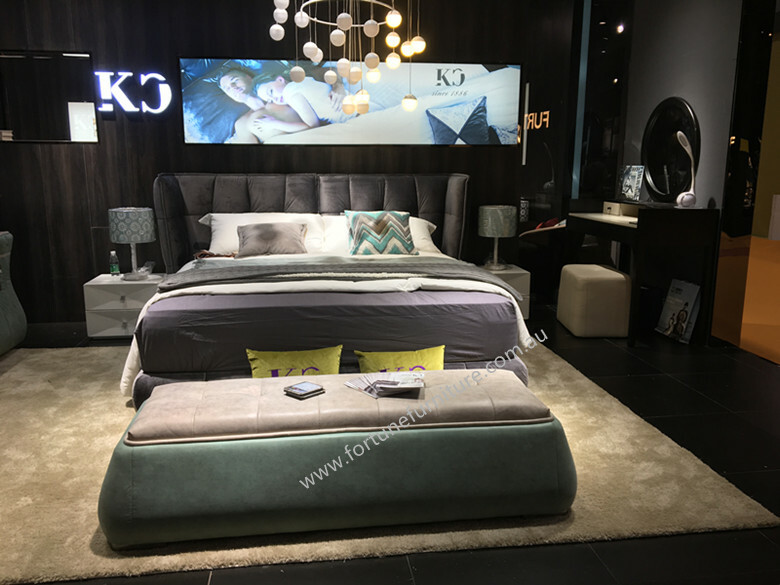 Description: Daisy Queen Size Bedding suite is a Charcoal color finish it is stylish and with sleek design the touchable LED light on the Head frame make it more stunning and perfect.Quality gas lift storage makes daisy bed more attractive and impressed. 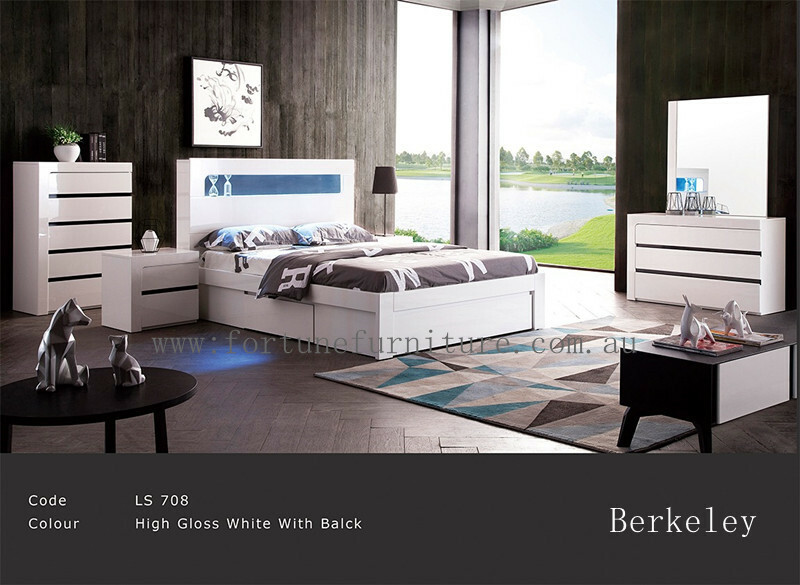 The featured spacious bedside table , dresser and tall boy design will make your room stunning and fantastic . 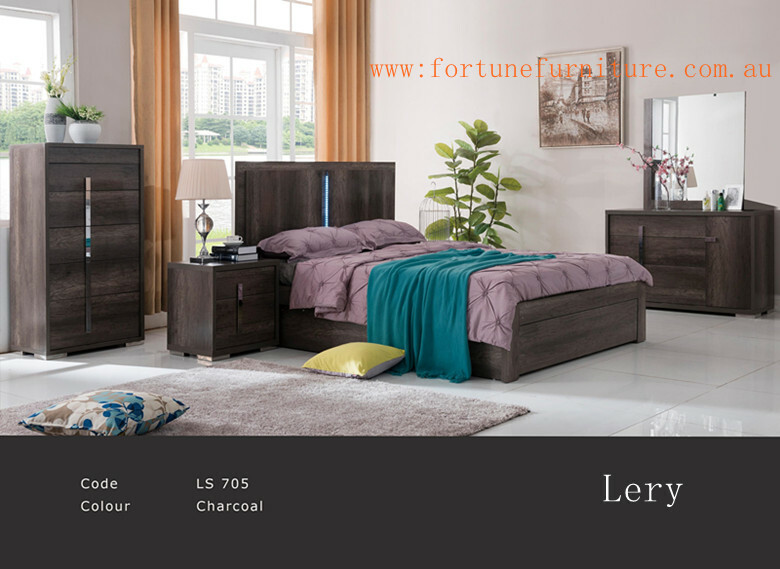 Description: Lery Queen Size Bedding suite is a Charcoal color finish it is stylish and with sleek design the touchable LED light on the Head frame make it more stunning and perfect. 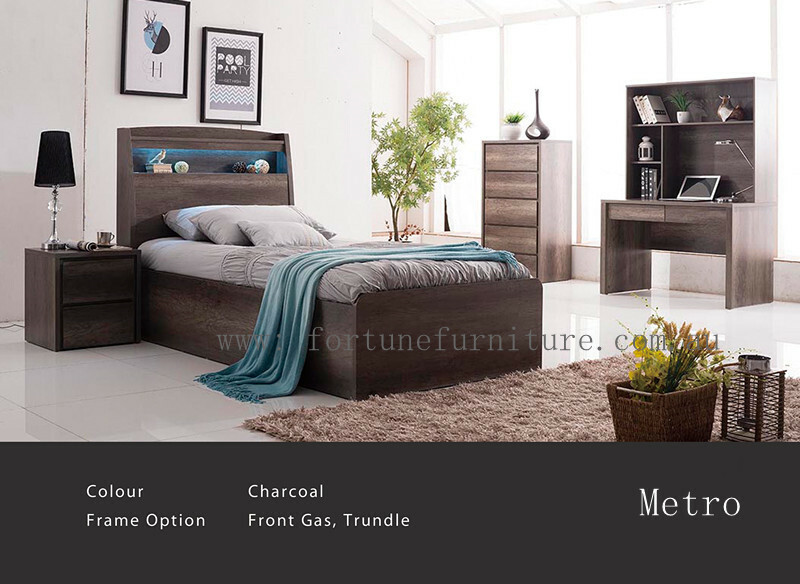 You can choose different base frame features as a storage drawer or gas lift. 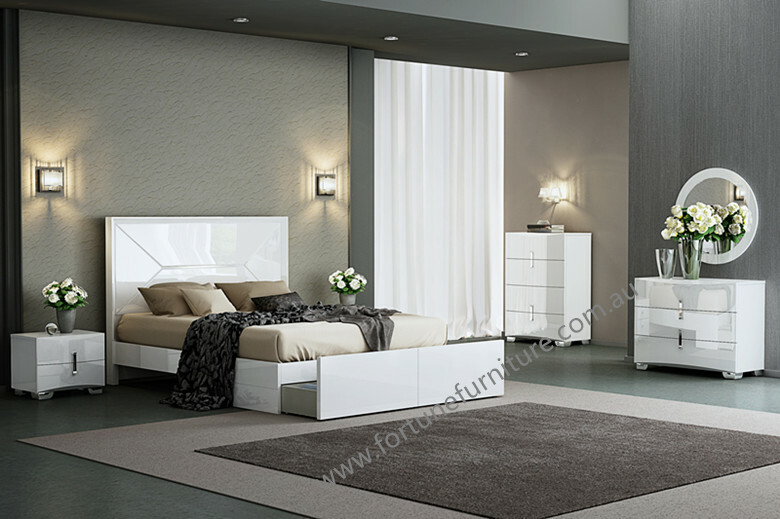 The featured spacious bedside table , dresser and tall boy design will make your room stunning and fantastic . Please see photo for configuration reference. 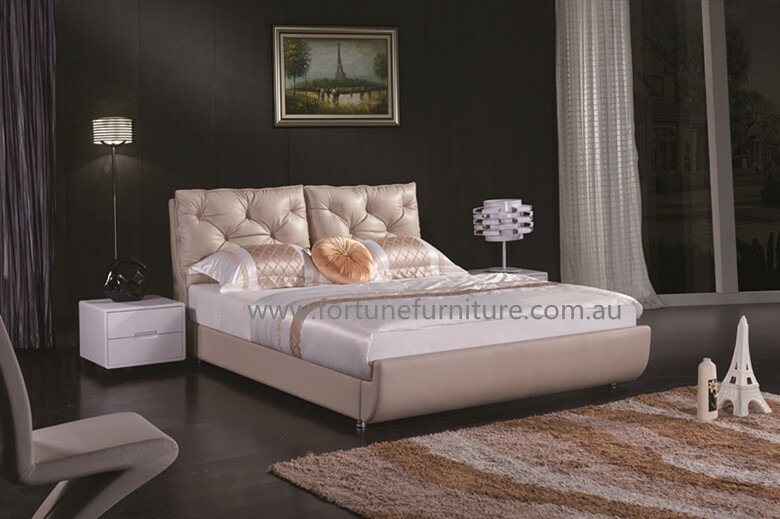 Model: Kate(B82) leather bed . 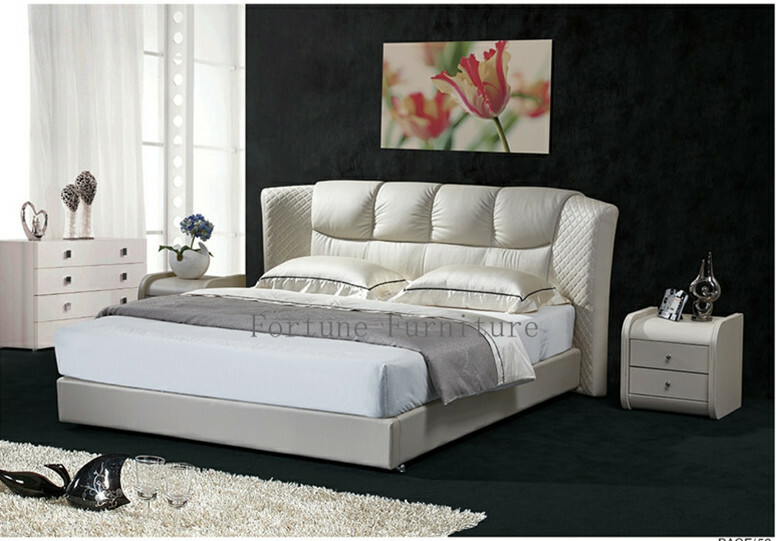 Features : The design of this Kate Queen Bed is elegant, classy and sure to fit the feel of your home no matter what the decor. 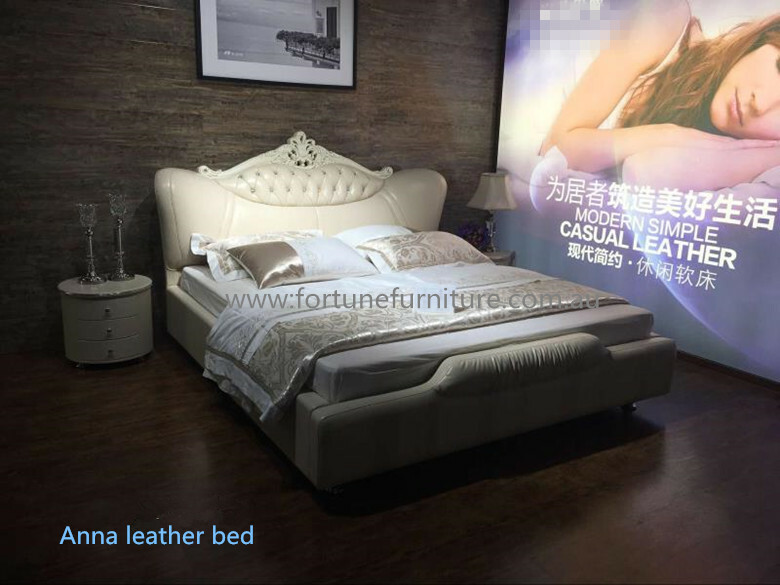 Kate leather bed offers you absolutely comfortable bed head support . Also, the solid oak wood frame makes Kate more strong and stable ..
size : Q size available . Double and king size can be ordered . 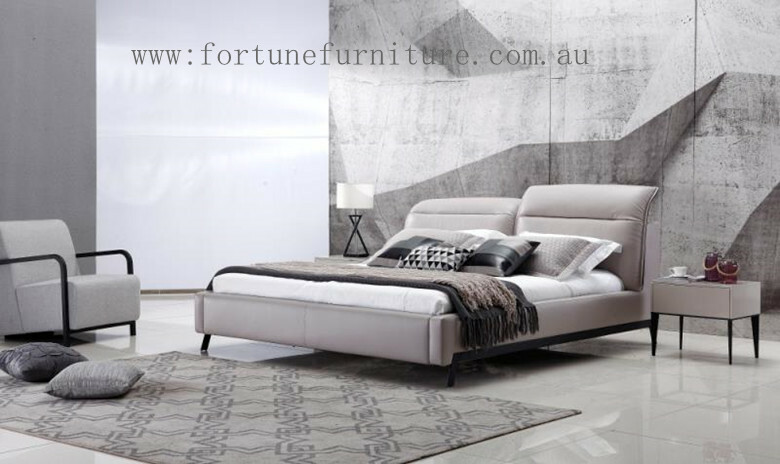 Features : carefully wrapped with deluxe velvet fabric and nice stitches finish , Jessica bed offers you stylish and absolutely comfortable bed head support . Also, the solid oak wood frame makes jessica more strong and solid . size : Q size and king size are currently available . 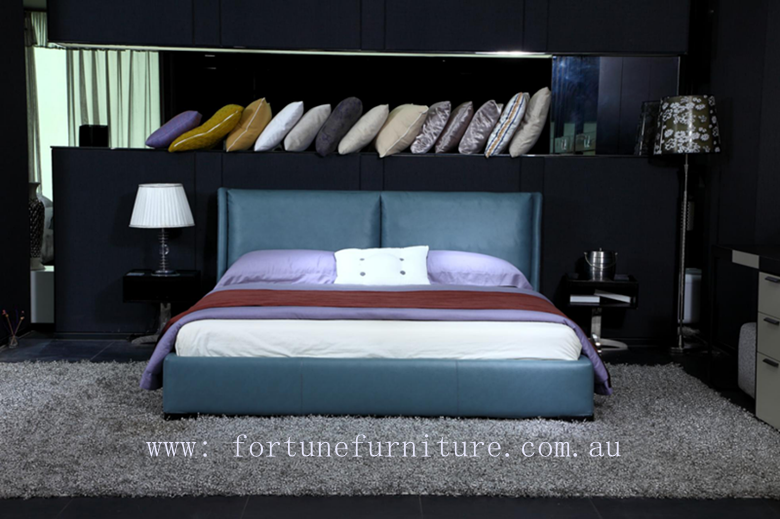 choice of fabric colors .